We digitized this logo and embroidered several shirts for the University of Texas at Dallas Office of Emergency Management. Our digitizing fees are among the most affordable in our area. Our fee starts at $15 and goes up based on the complexity of the design. 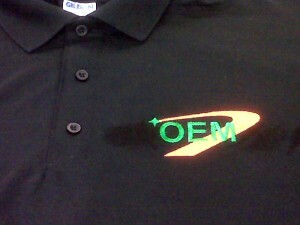 Do you need a custom logo digitized and embroidered? Give us a call today at 972-220-9244. Or you can email us your logo at info @ fcscreations.com (without the spaces).